Thats all. Game finished - Hertha Berlin 2, 1. FC Köln 1. 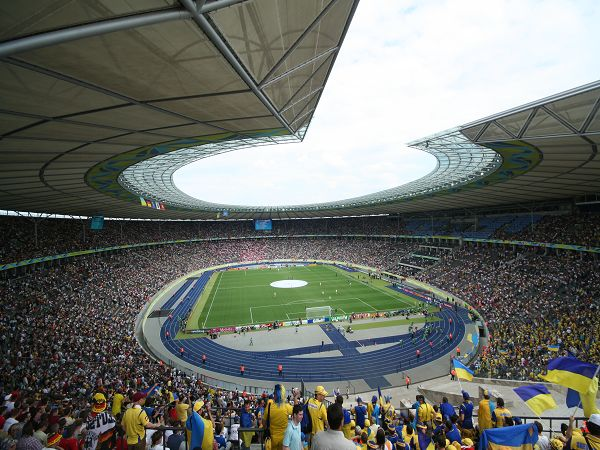 Second Half ended - Hertha Berlin 2, 1. FC Köln 1. Julian Schieber - Hertha Berlin - won a free kick in defence. Jorge Meré - 1. FC Köln - won a free kick in defence. Marcel Risse - 1. FC Köln - receive yellow card. Davie Selke - Hertha Berlin - receive yellow card. Mathew Leckie - Hertha Berlin - won a free kick in defence. Corner - 1. FC Köln. Conceded by Julian Schieber. Missed chance. Jhon Córdoba - 1. FC Köln - shot with right foot from the right side of the box is close, but misses the top right corner. Missed chance. Julian Schieber - Hertha Berlin - shot with left foot from the centre of the box is high and wide to the right. Assist - Mathew Leckie with a cross. Missed chance. Frederik Sörensen - 1. FC Köln - shot with the head from the centre of the box is close, but missed to the left. Assist - Marcel Risse with a cross after corner. Corner - 1. FC Köln. Conceded by Niklas Stark. Missed chance. Simon Terodde - 1. FC Köln - shot with the head from the centre of the box missed. Assist - Jonas Hector with a cross. Missed chance. Marcel Risse - 1. FC Köln - shot with right foot from outside the box missed to the left. Delay in match Niklas Stark - Hertha Berlin - - injury. Niklas Stark - Hertha Berlin - won a free kick in defence. Yuya Osako - 1. FC Köln - won a free kick in defence. New attacking attempt. Davie Selke - Hertha Berlin - shot with right foot from the centre of the box is saved in the top centre of the goal. Assist - Ondrej Duda. Shot blocked. Leonardo Bittencourt - 1. FC Köln - shot with left foot from the centre of the box is blocked. Shot blocked. Jhon Córdoba - 1. FC Köln - shot with left foot from the centre of the box is blocked. Assist - Marcel Risse with a cross. Shot blocked. Marvin Plattenhardt - Hertha Berlin - shot with left foot from outside the box is blocked. Substitution - Hertha Berlin. Julian Schieber for Salomon Kalou. Substitution - 1. FC Köln. Simon Terodde for Christian Clemens. Vladimir Darida - Hertha Berlin - won a free kick in attack. Corner - 1. FC Köln. Conceded by Karim Rekik. Corner - 1. FC Köln. Conceded by Marvin Plattenhardt. Dominique Heintz - 1. FC Köln - won a free kick in defence. Missed chance. Jhon Córdoba - 1. FC Köln - shot with left foot from the centre of the box goes high after corner. Corner - 1. FC Köln. Conceded by Per Skjelbred. Shot blocked. Marcel Risse - 1. FC Köln - shot with right foot from the right side of the box is blocked. Assist - Leonardo Bittencourt. Davie Selke - Hertha Berlin - won a free kick in attack. Karim Rekik - Hertha Berlin - won a free kick in defence. Shot blocked. Marcel Risse - 1. FC Köln - shot with right foot from outside the box is blocked. Substitution - 1. FC Köln. Marcel Risse for Claudio Pizarro. Substitution - Hertha Berlin. Ondrej Duda for Vedad Ibisevic. Missed chance. Christian Clemens - 1. FC Köln - shot with left foot from outside the box goes high. Assist - Claudio Pizarro. New attacking attempt. Mathew Leckie - Hertha Berlin - shot with the head from the centre of the box is saved in the left corner. Assist - Valentino Lazaro with a cross. Missed chance. Christian Clemens - 1. FC Köln - shot with right foot from outside the box goes high from a free kick. Jhon Córdoba - 1. FC Köln - won a free kick in attack. Jhon Córdoba - 1. FC Köln - won a free kick on the right wing. Goal! 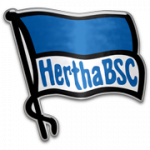 Hertha Berlin 2, 1. FC Köln 1. Davie Selke - Hertha Berlin - shot with right foot from the centre of the box to the right corner. Assist - Marvin Plattenhardt. Jorge Meré - 1. FC Köln - receive yellow card for a foul. Vladimir Darida - Hertha Berlin - won a free kick in defence. Goal! Hertha Berlin 1, 1. FC Köln 1. Davie Selke - Hertha Berlin - shot with right foot from the right side of the box to the centre of the goal. Offside - 1. FC Köln. Frederik Sörensen with a pass, however Yuya Osako is in offside. Missed chance. Mathew Leckie - Hertha Berlin - shot with left foot from outside the box is high and wide to the left. Assist - Davie Selke. Substitution - Hertha Berlin. Mathew Leckie for Mitchell Weiser. Second Half starts Hertha Berlin 0, 1. FC Köln 1. First Half ended - Hertha Berlin 0, 1. 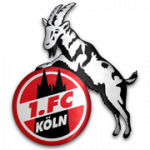 FC Köln 1. Offside - 1. FC Köln. Christian Clemens with a pass, however Jhon Córdoba is in offside. Corner - Hertha Berlin. Conceded by Jorge Meré. Corner - 1. FC Köln. Conceded by Vladimir Darida. Jhon Córdoba - 1. FC Köln - won a free kick in defence. Corner - Hertha Berlin. Conceded by Frederik Sörensen. Missed chance. Vladimir Darida - Hertha Berlin - shot with right foot from outside the box goes high. Assist - Salomon Kalou. Christian Clemens - 1. FC Köln - receive yellow card for a foul. Marvin Plattenhardt - Hertha Berlin - won a free kick on the left wing. Shot blocked. Davie Selke - Hertha Berlin - shot with right foot from the centre of the box is blocked. Assist - Valentino Lazaro. Goal! Hertha Berlin 0, 1. FC Köln 1. Leonardo Bittencourt - 1. FC Köln - shot with right foot from the centre of the box to the left corner. Assist - Jhon Córdoba with a head. Valentino Lazaro - Hertha Berlin - won a free kick in defence. New attacking attempt. Mitchell Weiser - Hertha Berlin - shot with right foot from outside the box is saved in the top centre of the goal. Corner - Hertha Berlin. Conceded by Timo Horn. Shot blocked. Vladimir Darida - Hertha Berlin - shot with right foot from outside the box is blocked. Assist - Valentino Lazaro. Substitution - 1. FC Köln. Jhon Córdoba for Simon Zoller - injury. Delay in match Simon Zoller - 1. FC Köln - - injury. Yuya Osako - 1. FC Köln - won a free kick on the right wing. Corner - Hertha Berlin. Conceded by Dominique Heintz. Shot blocked. Vedad Ibisevic - Hertha Berlin - shot with right foot from the centre of the box is blocked. Leonardo Bittencourt - 1. FC Köln - won a free kick in attack. Offside - Hertha Berlin. Vedad Ibisevic with a pass, however Salomon Kalou is in offside. New attacking attempt. Yuya Osako - 1. FC Köln - header inside of six yard box - left side is saved by goalkeeper in the centre of the goal. Offside - 1. FC Köln. Dominique Heintz with a pass, however Claudio Pizarro is in offside. Leonardo Bittencourt - 1. FC Köln - won a free kick in defence. New attacking attempt. Salomon Kalou - Hertha Berlin - shot with right foot from the centre of the box is saved in the right corner. Assist - Davie Selke with a cross.